1 edition of Making Martyrs East and West found in the catalog. Add another edition? Are you sure you want to remove Making Martyrs East and West from your list? Published March 14, 2016 by Northern Illinois University Press . For centuries, Catholics in the Western world and the Orthodox in Russia have venerated certain saints as martyrs. In many cases, both churches recognize as martyrs the same individuals who gave their lives for Jesus Christ. On the surface, it appears that while the external liturgical practices of Catholics and Russian Orthodox may vary, the fundamental theological understanding of what it means to be a martyr, and what it means to canonize a saint, are essentially the same. But are they? 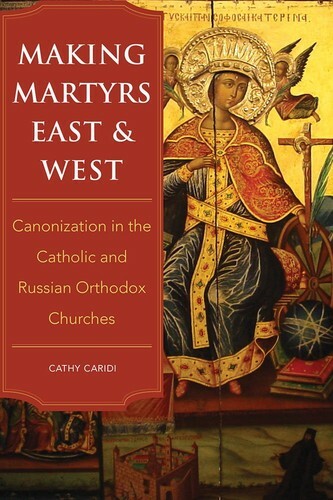 In Making Martyrs East and West, Caridi examines how the practice of canonization developed in the West and in Russia, focusing on procedural elements that became established requirements for someone to be recognized as a saint and a martyr. 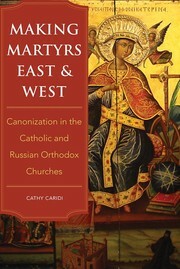 She investigates whether the components of the canonization process now regarded as necessary by the Catholic Church are fundamentally equivalent to those of the Russian Orthodox Church, and vice versa, while exploring the possibility that the churches use the same terminology and processes, but in fundamentally different ways that preclude the acceptance of one church’s saints by the other. Caridi examines official church documents and numerous canonization records, collecting and analyzing information from several previously untapped medieval Russian sources. Her highly readable study is the first to focus on the historical documentation on canonization specifically for juridical significance. It will appeal to scholars of religion and church history, as well as ecumenicists, liturgists, canonists, and those interested in East-West ecumenical efforts. April 13, 2018 Edited by Todays Martyrs Reviewer Edited without comment. April 13, 2018 Created by Todays Martyrs Reviewer Added new book.